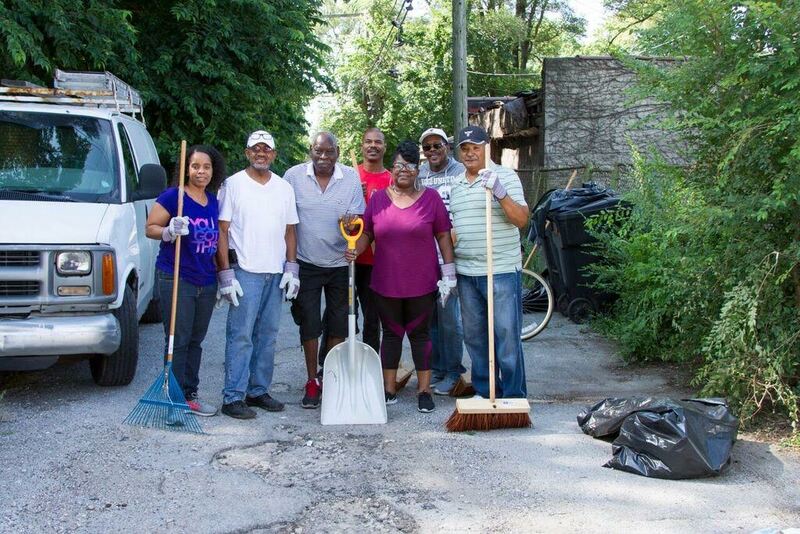 Acting Up award winner Beverly Dawson (standing on the right in purple) organized area residents to clean up Woodlawn alleys between 63rd Street to 67th Street and between Evans and Langley avenues. 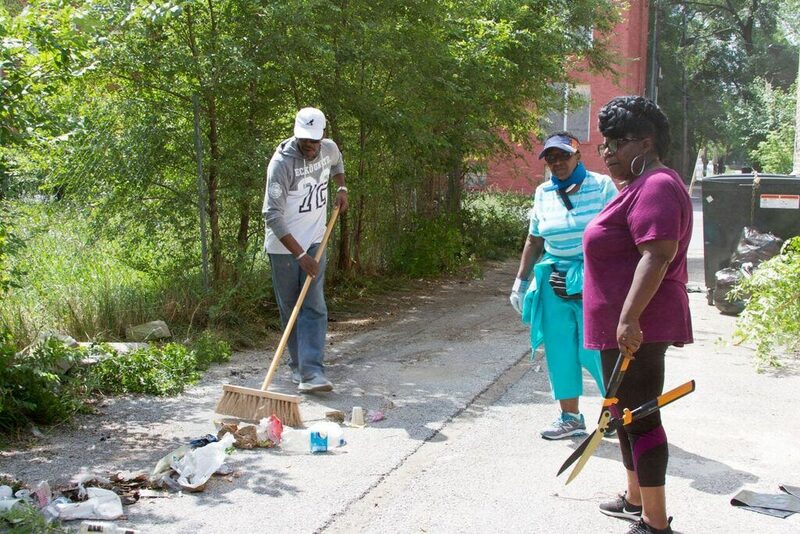 Beverly Dawson (appearing in a purple shirt in the above photos), executive director of Prosperity House, and a 2018 Acting Up award winner, led an alley cleanup in the Woodlawn community last Saturday morning, July 28. 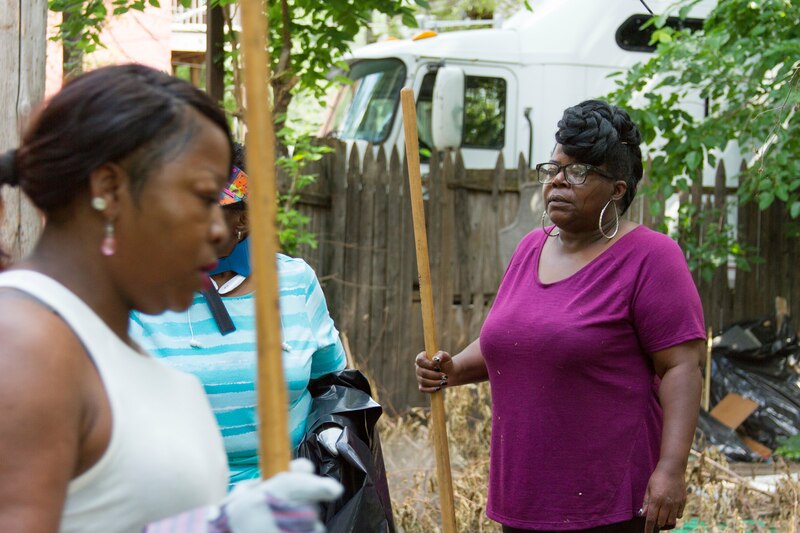 About 15 community residents joined Beverly in cleaning out five alleys in the areas between 63rd Street and 67th Street and between Evans and Langley avenues. The cleanup is especially significant to Beverly because of recent shootings in the neighborhood. “You’ll feel a lot safer having your child in the backyard because you can see [in the alley],”Beverly said. Beverly’s goal is to make backyards safer for children to enjoy and for people to take out the garbage. She plans to form a coalition to keep alleys clean once a month. “I’m really excited about this. It would be wonderful to have clean alleys. I’ve been wanting to do this for years,” Beverly said. Beverly received a $1,500 Acting Up award from The Chicago Community Trust on July 20 for this initiative. 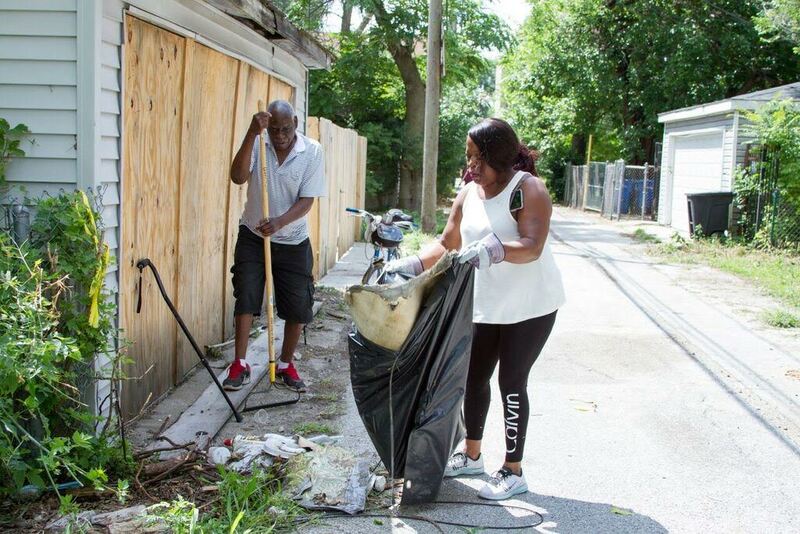 See Beverly’s video explaining the significance of her alley cleanup event, called “Back Alley Glitz”: https://youtu.be/sOL39KuSZNU. Beverly is one of 37 Acting Up award recipients throughout the Chicago area who received more than $150,000 to make Chicago communities better.